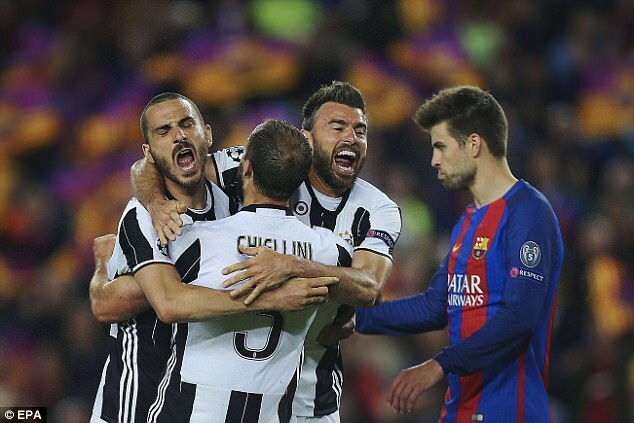 Leonardo Bonucci believes that Juventus ‘invoke fear’ in teams following the club’s Champions League triumph over European giants Barcelona. Juventus progressed to the semi-finals after beating Luis Enrique’s side 3-0 on aggregate in the last-eight, drawing 0-0 in the second-leg on Wednesday night. 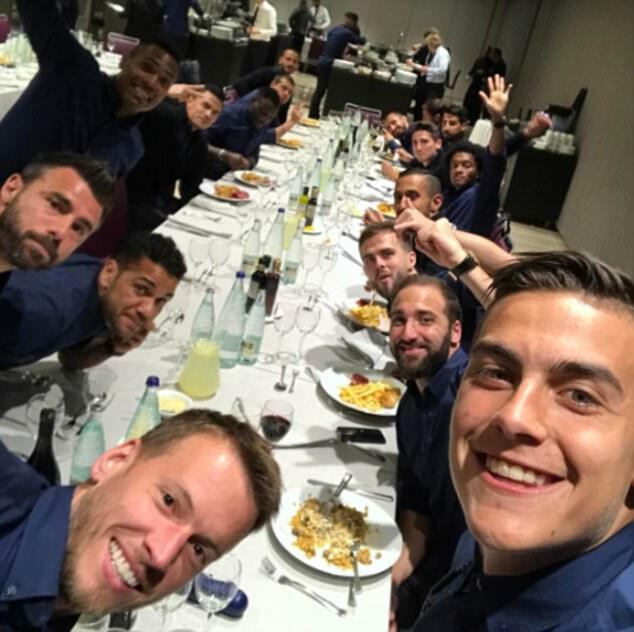 And the Serie A defender, who enjoyed a group meal with his team-mates following the match at the Nou Camp on Wednesday, insists that putting Barcelona to the sword and keeping clean sheets in both legs shows that Juventus are a ‘great team’. 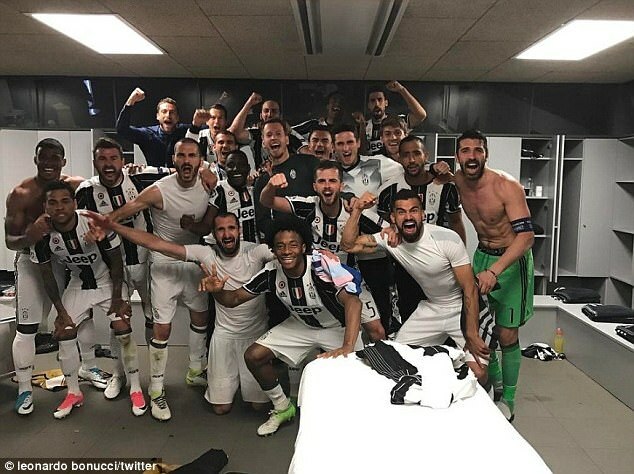 ‘We knew they were coming to push us high, running a few risks at the back, but we did well to be united and compact when defending, above all thanks to Dani Alves and Mario Mandzukic for pressuring their full-backs,’ Bonucci told Mediaset Premium. ‘It was a performance of great unity and solidity. We have belief in ourselves, because scoring three goals against Barcelona and then keeping a clean sheet at Camp Nou proves we are a great team. Now there are another two steps to go. Meanwhile, the Italian insists Juventus won’t be fazed by who they draw in the last four of the Champions League and instead claims that the other three sides, Real Madrid, Atletico Madrid and Monaco, will not want to be drawn against the Serie A leaders. 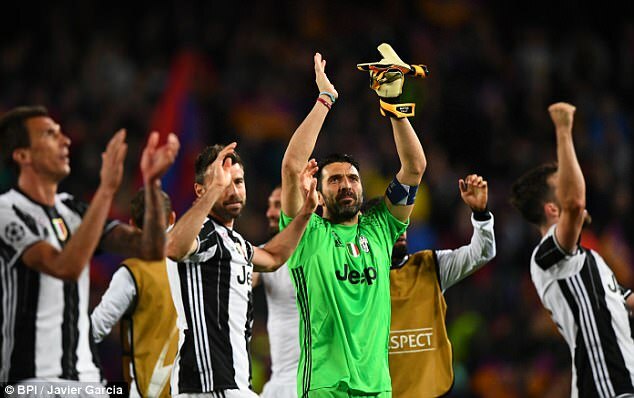 Bonucci’s team-mate Gianluigi Buffon hailed a defensive masterclass after Juventus shut out Barcelona but the Italian goalkeeper claimed it would mean little if they did not win the Champions League. Buffon told BT Sport 2: ‘We’re very happy with these small victories but what we really want to do is go all the way. ‘We knew it would be a very tough game, full of difficult moments because Barca are the strongest team in the world. Buffon, who has only conceded twice in this season’s competition and kept clean sheets in each of Juventus’ four games in the knockout stages, has never won the Champions League in his illustrious career. He has won seven Serie A crowns with Juventus, the UEFA Cup with Parma and the 2006 World Cup with Italy, but when asked what it would mean for him to lift Europe’s top club trophy, he replied: ‘It’s a wonderful challenge for me every year. ‘At the start of the season we always set targets, that goes for life, too. I think that’s essential if you want to get the best out of yourself and improve.